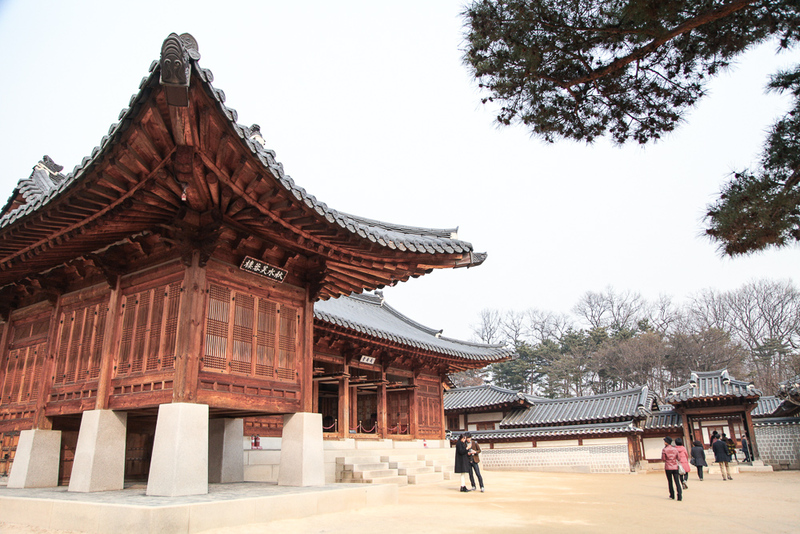 On my way to Insadong I spontaneously decided to visit the Unhyeongung Palace (운현궁). Little did I expect to end up having a hanbok photoshoot. For only 3,3000 won in fact. That's approximately $3 USD. 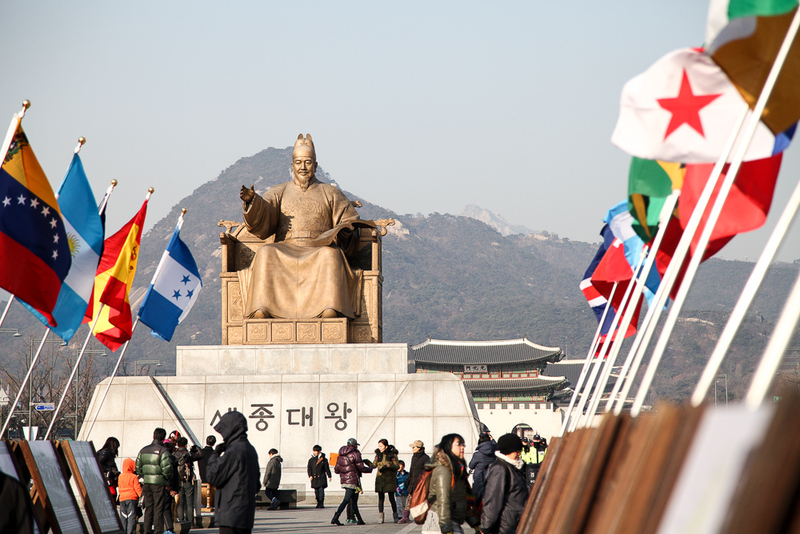 After paying the hanbok wearing fee, you walk into a room filled with Korean decorations. 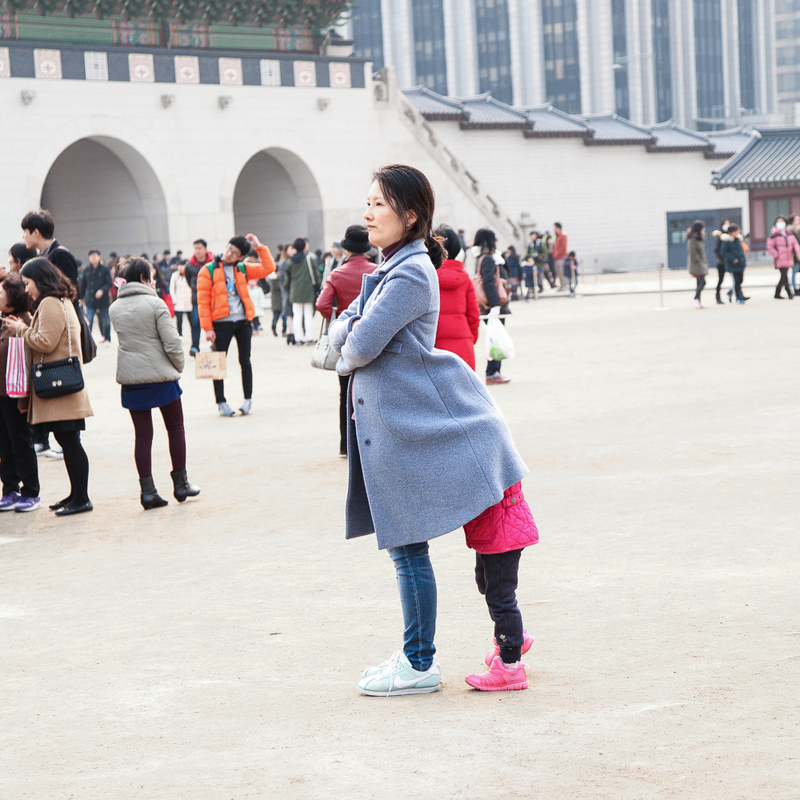 To the right is where the colorful hanbok costumes are. The ladies choose a jeogori (the blouse jacket) and chima (long skirt). Men wear a jeogori and baji (pants). Traditional hats are also available. 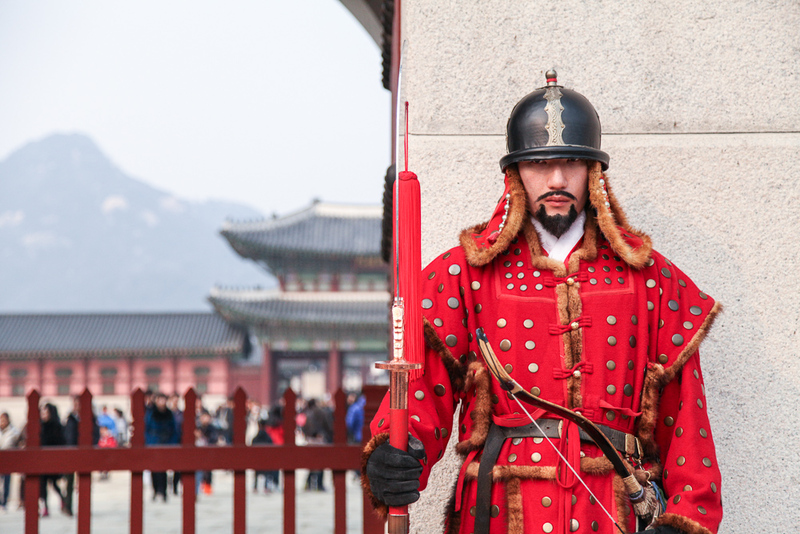 Once you wear your hanbok, it's time for portraits around the palace. You'll feel like a princess. Or a prince, if you're a dude. Being a chilly winter day there weren't many visitors. Thus I was lucky to score what must've been a 30-minute photo session. Sometimes I wish everyone wore their country's traditional attire on a daily basis. However Western clothes do have their functionality. Perhaps the romance of wearing hanbok would diminish if worn everyday? You know the concrete block Professor Oh is standing on (above)? 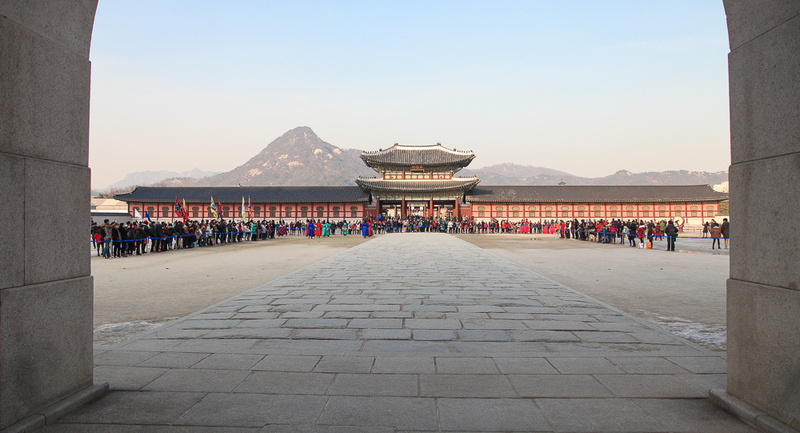 King Gojong used to step on it to get on and off his horse. 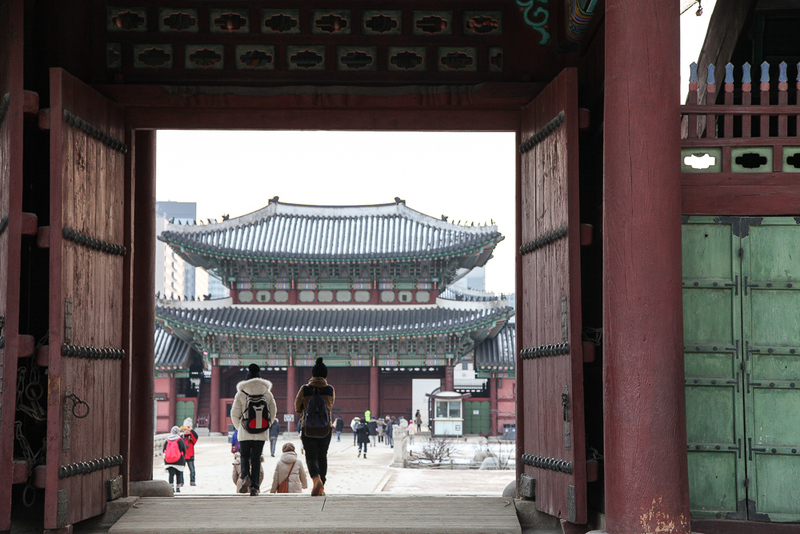 It was on my bucket list to wear a hanbok and pose in front of a wooden door. One dream realized, a thousand more to go!